Since the 1970s, the Marblehead pipelines have stretched about 6,000 feet across the bottom of Salem Harbor, carrying the town’s sanitary wastewater to the South Essex Sewerage District’s treatment facility in Salem, MA. These hidden but necessary connecting lines remained mostly out of sight and out of mind until March 2013, when a leak in one pipe prompted emergency repairs and an inspection of the rest of the pipelines for any previously unnoticed damage. When divers discovered that the entire length of the pipelines was severely compromised by corrosion, the District sprang into action. 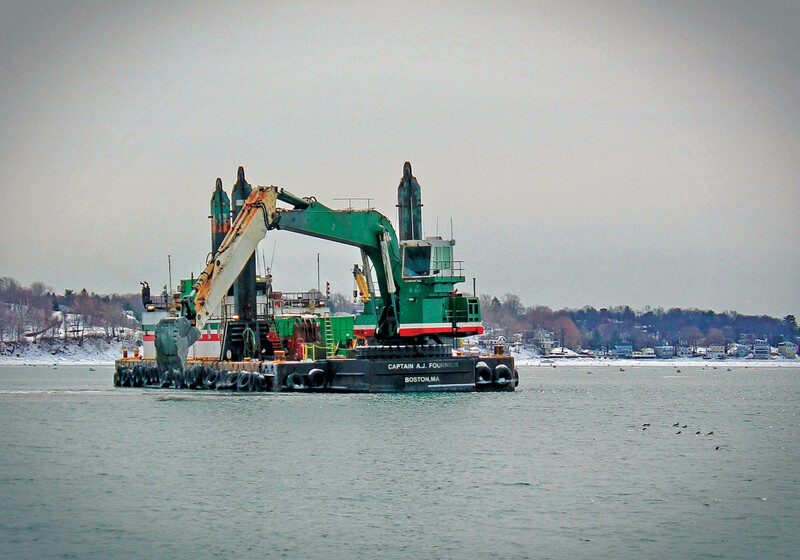 The Marblehead Pipeline Replacement Project began in September 2013 with a new, more reliable design employing High-Density Polyethylene (HDPE) pipelines. 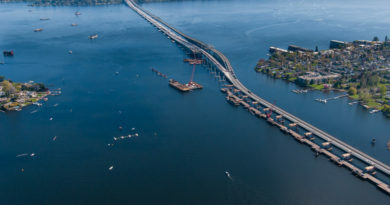 The District hired WSP | Parsons Brinckerhoff (WSP-PB) to conduct the project, with Caldwell Marine International, LLC serving as the construction team. Getting adequate funding for such a massive undertaking was one of the District’s immediate concerns. Christopher Barnett, WSP’s program manager, explained, “Funding was provided under an emergency low-interest loan from the Massachusetts Clean Water State Revolving Loan Fund (CWSRF). This was extremely important to the District and its member communities, in particular Marblehead, since it substantially reduced the impact to sewer ratepayers in the Town. “WSP provided assistance to the District in applying for SRF funding, including working with officials of the Massachusetts Department of Environmental Protection (MassDEP) to ensure that the construction package met all SRF eligibility requirements and conditions, obtaining approval to bid, and providing SRF-required reports and documentation,” added Barnett. 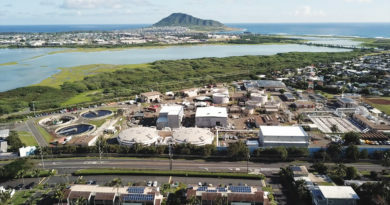 After a year of acquiring permits, complying with archaeological investigations, and consulting with environmental agencies, construction was finally approved to move forward. The project employed an innovative new float and sick technique to put the pipelines in place. “Caldwell was able to accelerate and re-sequence their work in order to clear the navigation channel by dropping two 2,000-foot segments of pipe to minimize the shipping channel activity so the channel was clear by 6 AM on Monday morning, allowing the ship to pass,” noted Barnett. This allowed for work on the project to be carried out as efficiently as possible while minimizing the impact on water traffic. After all the construction was completed, teams worked to restore the beach to a beautiful condition for local recreation. Another obstacle the project faced was the preservation of natural wildlife. The Salem Harbor is home to many eel grass beds and important habitats where fish return to spawn every year. Environmental agencieswere as eager as the District to prevent further sewage from leaking into the fragile ecosystem. 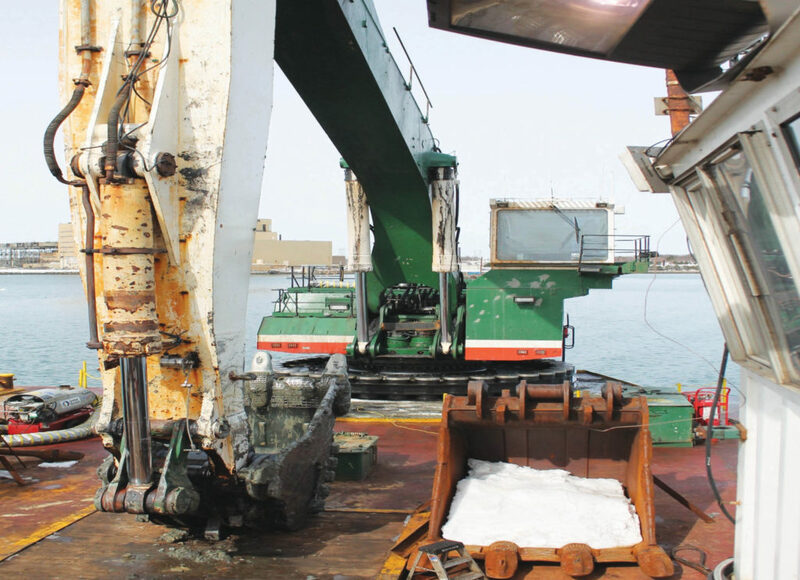 However, they required strict monitoring and protections for the aquatic environment, including frequent dive surveys and the usage of silt curtains. “The pipeline alignment was also adjusted to minimize impacts to the mapped eel grass beds,” Barnett elaborated. 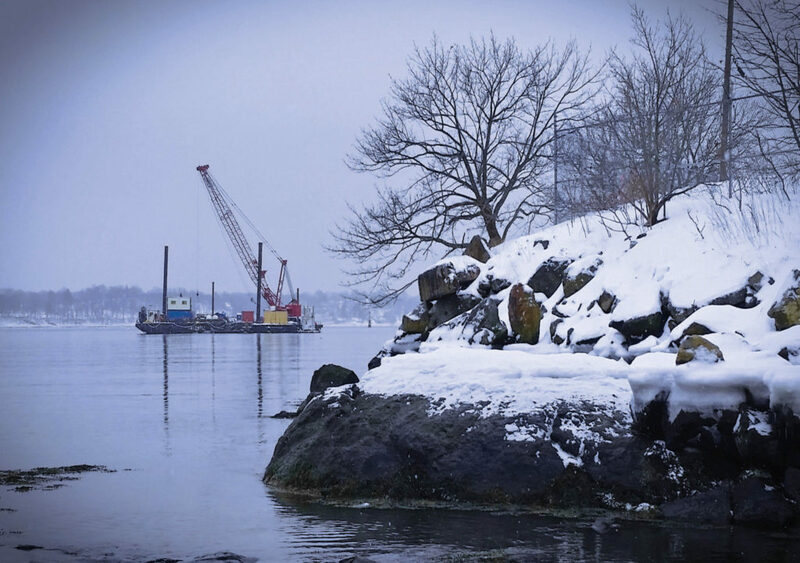 “When harbor ice made it impossible to deploy silt curtains, WSP and the Contractor developed a workaround, with changes to dredging methods and increased monitoring, and WSP was able to get this change approved by regulatory agencies.” As a result of good environmental controls, the eel grass and other resources remained protected and are healthier today than before. The project team also removed long-abandoned moorings from the bottom of the harbor, providing more room for the wildlife community to grow. WSP was recognized for their initial diagnosis of the pipelines’ failure, as well as their efforts to coordinate with environmental and archaeological agencies to ensure preservation of important natural and historical resources, and their success in conducting work while keeping the harbor open for boating passage. Caldwell Marine was also acknowledged for their efficiency and adaptability to extreme weather conditions. 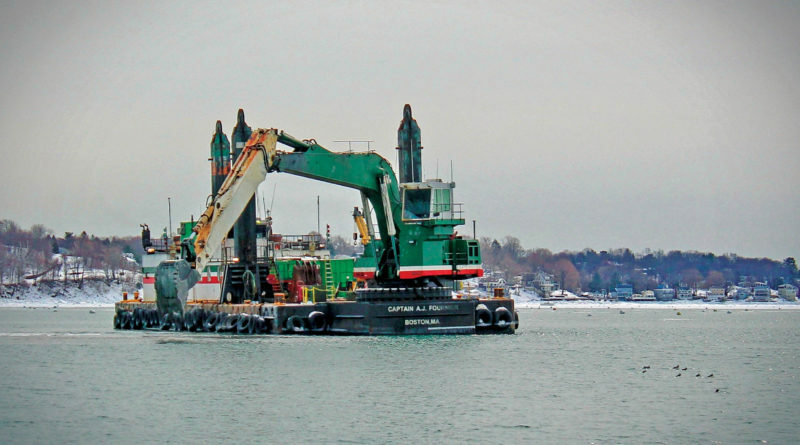 While the pipelines ensuring sanitary sewage movement for the people of Marblehead still remain an unseen and largely unnoticed project, the benefits of the restoration extend to all citizens. The final step of the project was to beautify and restore the landscaping and beach at Stramski Park in Marblehead, putting the aesthetic cherry on top of a quick, effective, and successful project.